You are at:Home»News»New Ships»Bigger and Better – The Ships Dressed to Impress in 2016/17! Bigger and Better – The Ships Dressed to Impress in 2016/17! Winter is on the horizon, and with it comes the much anticipated launch of some of the world’s biggest, and most luxurious ships. They’ll all be setting sail on their maiden voyages, and Australia is firmly in the mix when it comes to ports of call. When it sets sail in April, Royal Caribbean’s Ovation of the Seas will step up as one of the third largest cruise ships in the world. The billion dollar ‘supership’ will carry 4180 passengers, and feature an at-sea skydiving experience, circus school, Bionic Bar, North Star pod and high speed internet. Aussie cruisers will be some of the first to enjoy the world class vessel, with Ovation setting sail from Singapore to Sydney on November 30. Next month Holland America Line will debut its brand spanking new flagship, Koningsdam. It’s the first instalment for its Pinnacle Class category, and will boast a myriad of innovative concepts. Fine dining will steal the spotlight, with establishments such as French seafood brasserie Sel de Mer and the Lido Market, as well as an immersive farm-to-table dinner experience in the Culinary Arts Center. True to its fun focussed reputation, Carnival will launch the 3954 passenger Vista in May, which will stake claim to the line’s longest waterslide. The family friendly ship will be packed full of exciting on-board activities, as well as the adult’s only Serenity retreat. There’ll be serious waves in June, when Royal Caribbean debuts the colossal Harmony of the Seas. Hailed as a floating city, the ship will feature seven different neighbourhoods where its 6400 guests can hit the water park, indulge in fine dining, soak up the sun, stroll through Central Park, shop up a storm at boutique stores and more. $40 million can work wonders, as proven by Oceania Cruises’ refurbishment of its newest fleet member, Sirena. She’ll set sail from Barcelona in April, and head to Australian shores in 2017. Get ready for unparalleled luxury as the ultra-opulent Seabourn Encore makes it way Down Under in January 2017. On-board 604 guests will enjoy an intimate, country club style experience as the ship glides through Mooloolaba, Hamilton Island, Townsville, Cairns and Darwin. Foodies delight as the legendary Thomas Keller will be on-board! 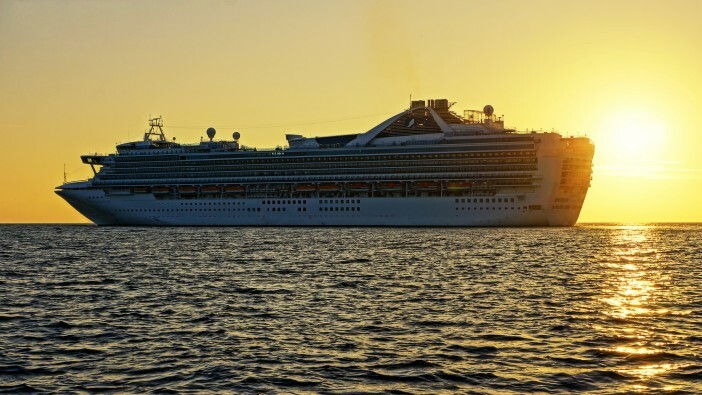 Book your dream cruise today! If you want to secure your slice of the shiny new cruise ship action in 2016/17, get in touch with the Cruise 1st team today on 1300 857 345 to chat about voyages for every budget.